About 130 KMS from Mumbai is Devkund. 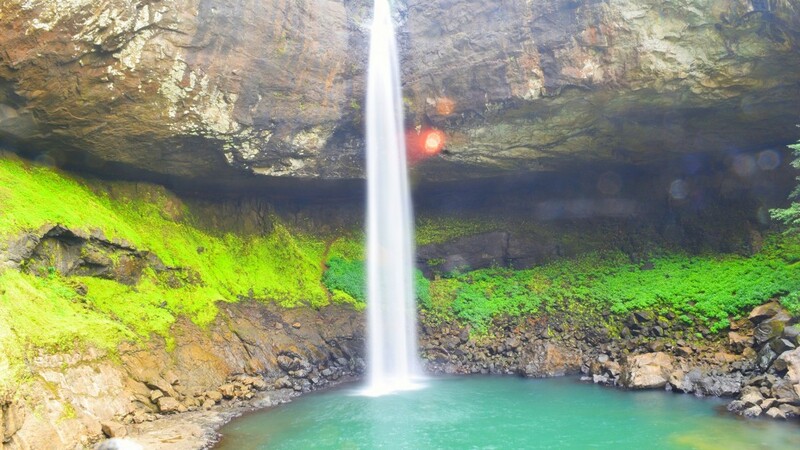 As the name suggests, it is a heavenly pond, a hidden treasure of natural beauty. Devkund is surreal, you’d have to rub your eyes to believe that it actually exists!If that’s not enough, the drive to this place is guaranteed to leave motorists spell-bound! 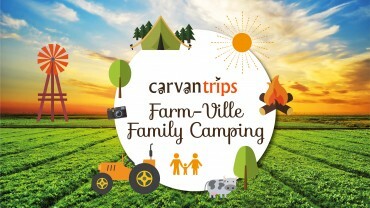 This is a CarvanTrips Select location: A personalised Road Trip & Adventure experience which requires no minimum booking and no dependency on any group. A fun new way of discovering Hidden locations, Secret campsites, Adventure activities and unique experiences on your own without the worry of uncertainties. Each of these destinations come highly recommended by our past travellers and Carvan Trips endorses these only after personally visiting there. Get a discount of 5% on booking 5 or more. Charges Includes – Tented accommodation,Evening Snacks OR BBQ (Limited), Dinner (Veg/Non-Veg), Breakfast, Trek to Devkund, Lunch (Veg/Non-Veg), Organizing and Expertise charges. Charges Excludes – 5% GST, Transport & Travelling, other charges not mentioned. · Full/ Half sleeve T-shirt with stretchable Gym Pants/ Yoga/ Track pants/ Shorts. Please DO NOT WEAR Denims or formals. · Good Quality Trekking/ Hiking shoes Compulsory (Floaters and Sandals are not allowed) or a comfortable pair of sport shoes with a good grip. Please don’t wear formal/ casual/ leather shoes & please ensure the shoes are of good quality & not old as to avoid wear & tear especially of the shoe sole. · Cap, goggles, sunscreen etc. · A light pair of slippers in the bag (for post trek). • Please refrain from consuming Alcohol or any intoxicant up till 24 hours before the trek as it may cause severe dehydration, nausea, vomiting and risk to life. • Avoid carrying heavy weight backpack for this trek. Keep everything covered in a plastic bag as there can be chances of raining. • This is a budget nature trip. The facilities available at the campsite are minimal. The tents are simple but cozy, non-luxury tents. The food will be simple but tasty authentic village food. • Since the campsite is at an eco-sensitive zone, permanent toilets are not available at the campsite but can be accessed at a walking distance. • In case of any unexpected change in weather or other unforeseen situations that are beyond our control and due to which camping may not be feasible, the operator will try their best to make alternate stay arrangements in the nearby homestay OR village (subject to availability). 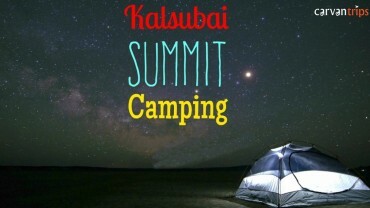 • In case it rains, campfire will not be possible. • The itinerary is indicative only. A circumstantial delay can be expected on the day. Please make post trip plans after adding a buffer accordingly. 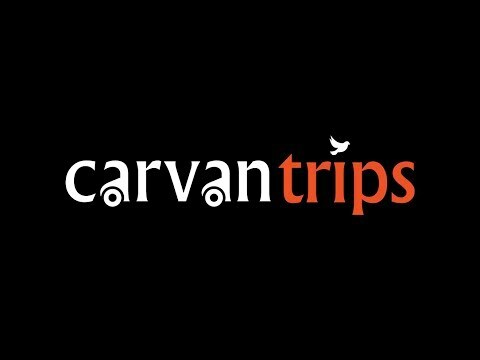 • CarvanTrips Select is a sub-platform at CarvanTrips.com connecting Operators who have knowledge and expertise with a particular travel destination or activity with Travellers seeking to experience such destinations and activities. The platform for its audience to book the destination or activity directly from our portal which connects to the third party organiser hosting/handling/organising the travel event/activity. • Trip Confirmation: After making a booking with us, CarvanTrips will confirm the booking within 24 hours by sending a confirmation email. We will also be providing complete assistance regarding location, organiser’s name, contact, google location etc. In case the chosen slot is unavailable, the customer may choose modify their booking OR to cancel their booking (in which case a full refund will be processed). • You understand and agree that in case of a CarvanTrips Select booking, Carvantrips is not directly a party to any agreements entered into between operators and travellers, nor is carvantrips an agent or insurer. Carvantrips has no control over the conduct of operators, travellers and other users of the services or any group tours, and disclaims all liability in this regard. You understand that the event would be executed by local operator and CarvanTrips is not responsible for the execution or any unexpected outcome of the event. · You (“The user”) understands that there are inherent risks of the services which may or may not be directly provided by Carvan Trips (“Us”/ “The Company”/ “We”) in which the user may engage. · The user confirms that they are physically and mentally capable of availing the service. · The users’ participation is voluntary and the user shall under no circumstance hold Carvan Trips responsible for any injury, accidents, death, illness or damage to or loss of personal property as the result of any incident or accident that may occur during the period of service. · The conduct and behavior of the user should not cause distress or harm to anyone including other user members, Carvan Trips’ staff, service providers etc; in which case we/ service providers reserve the right to ask you to immediately leave, or in certain circumstances, hand you over to the appropriate authorities, in which case the financial liability would be of the user. · If for any reason the user wishes to abruptly end the trip before its scheduled completion, or is unable to participate due to being unfit, we will not be responsible to provide any return support or any refund, and the financial liability for making any alternate arrangements would be of the user. · The user is responsible to follow the instructions of the leader/ service provider and the user has to bear all the expenses which may arise in case for medical exigency or any emergency condition. · Cuts, bruises and minor injuries are normal for an adventure activity. First aid kit is available with the coordinator and the coordinators are trained to respond in such situations. Although Carvan trips takes all the reasonable steps to provide basic safety required for the particular activity, the ultimate responsibility of your life & safety is your own. · During the trip, the trip leader’s decision will be final decision, whatsoever. · Carvan trips hold the rights to change / modify the itinerary or even cancel the activity in case of any unexpected change in weather or other unpredicted situations occur that are beyond our control. In such a scenario, we will try our best and make alternate arrangements (subject to availability). However, Carvan trips will not be liable for any refunds or costs such as travel or accommodation incurred by the participant in such circumstances. · All activities are described as accurately as possible, however, the exact arrangements may differ slightly on any given day. Photographs are used for representation purpose and should be taken as a guide only. 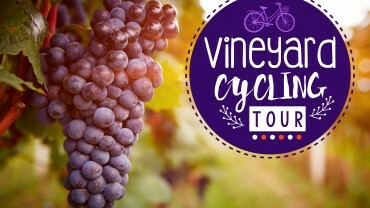 · The itinerary is indicative only. A circumstantial delay can be expected on the day. · It is mandatory to disclose any personal medical conditions so that prior arrangements can be made. Carvan trips do not hold any responsibility for any medical emergency during the trip. · You understand that jumping into any unknown water body or going away from the group/campsite can be hazardous to life and we won’t take any responsibility for any such individual actions. · If participants are found violating the rules, Carvan trips reserve all the rights to remove the participant from the group. In such situation, no refund shall be provided. · NOTE: Please refrain from consuming Alcohol or any intoxicant uptill 24 hours before the trip as it may cause severe dehydration and risk to life. 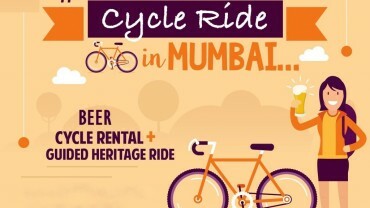 Heritage Cycle Ride ending with Beer!